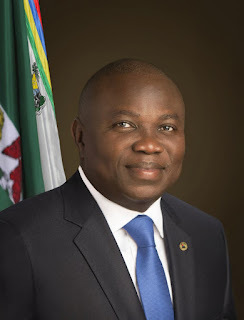 Lagos State Governor, Mr. Akinwunmi Ambode, at the weekend, unveiled the plan by his administration to cut the cost of governance in the state by streamlining some ministries, departments and agencies (MDAs), while new ones would be created. Unlike his immediate predecessor, Mr. Babatunde Fashola, the governor disclosed that he had relocated to the Lagos House in Ikeja, which he said, suggested that all public servants in the state should be at duty posts on or before 8a.m. He disclosed these plans at inaugural meeting he held with the Body of Permanent Secretaries at the Lagos House, Ikeja, alongside his deputy, Dr. Oluranti Adebule and Secretary to the State Government, Mr. Olatunji Bello, among others. At the meeting, Ambode explained the significance of public service in governance, noting that the state civil service would drive the change and continuity, which he had designed to pursue purposefully in the next four years. The governor added that he planned “to strengthen the civil service and continue with the reforms through which he will carry out his policies,” thus urging the permanent secretaries to see themselves as front runners of his administration. He explained that he would take advantage of the experience he garnered in the public service to transform the state to a true status of Africa’s model megacity and make it the first place of choice for investors and tourists.